Don’t be sorry, be a problem solver! Does telling children to say they’re sorry teach them what being sorry means? Sorry is just a word. I feel that people use this word way too often—so much that it has lost meaning. People use it as a quick fix, “I said I’m sorry…” Are they really sorry? Do they even know what sorry means? The word sorry is defined as feeling sorrow or regret, but too often people repeat that same action or behavior. It becomes a “sorry cycle.” I feel that if someone was truly feeling sorrow or regret, the behavior would stop—ending the cycle. There is a tendency to slap on the “sorry band aid” instead of learning from one’s behavior or actions. Sorry is just a word; it doesn’t fix anything. Think about this word through the eyes of the child. Do you think young children know what it means to be sorry? Do they understand regret and sorrow? Jean Piaget’s theories of development indicate young children are egocentric. Once children begin the third stage of cognitive development, concrete operational, they begin to use more logical thinking and eliminate egocentricism. Egocentrism is the inability to differentiate between self and others. More specifically, it is the inability to understand or assume any perspective other than their own. For example, a child who takes the block from her peer is so focused on her own needs and desires; she may not even be aware or concerned with the needs of her peers. The child has no regard for her peer because of her own focus. Children during this stage of development are still processing and identifying their emotions/feelings; they cannot fully comprehend the emotions of their peers or the idea of empathy. As educators, we understand that children are egocentric and these skills are emerging, so why are we forcing children to say, “I’m sorry”? Can these issues be solved through actions from the child? For example, should the child help rebuild a peer’s block structure? Does the child need adult/peer modeling? Should we ask the child’s peers what solutions they think would help? Do we need to provide the words to help the children begin the problem-solving process? In early childhood education, we are helping children build skills and construct a strong foundation that will last a lifetime. Instead of creating more people who are sorry, let’s create children who are problem solvers. Sorry is just a word. This entry was posted in Best Practice, Early Childhood, Preschool, teachers and tagged social emotional development on November 20, 2015 by Tracy Schnirring. Are hugs babying our preschool children? Recently, I was observing in a preschool classroom when I was approached by a young child. This was a new program for me, it was my first classroom visit, and I had never met or formed relationships with any of these children before. Occasionally, on a first visit in a new classroom, children will approach me asking what my name is or if I’m a new teacher. Today was different. No one asked questions as I tried to blend into their environment undetected. All the children were engaged with activities. Then I was spotted by one child. This child just watched me for a few minutes, then stood up, and slowly walked towards me in silence. He didn’t smile or show any facial expression, he just walked. As the child approached me, I smiled. I wanted my smile to illustrate that I wasn’t someone to be alarmed by or fear. This classroom is his environment, his safe place, his territory. I’m just a visitor in his domain. Then it happened, he hugged me. As he hugged me, he squeezed tight and I could feel the tension in his body being released. No words were spoken. I let him hug me until he was finished. It was obvious he needed this emotional support. He slowly walked back to his activity and resumed his work, but occasionally would glance over in my direction and smile. Immediately after this event, I began to wonder, should I have let him hug me? Was I being unprofessional? Is this hug “babying” him? Soon I began to realize I did the right thing for this child at that moment. He just needed a hug! Yes, you can still facilitate independence with children and be nurturing. Giving a child a hug does not mean you are babying them. I’m a firm believer in the power of touch, everybody needs a hug sometimes and this child was no different. Research proves the importance and everlasting benefits of building strong emotional development during the first five years of life. It begins during infancy; infants and children need to have their basic needs met which includes forming relationships with parents/caregivers. These relationships are necessary to a child’s emotional foundation. This foundation can influence them positively or negatively throughout their life. It has a huge impact on children’s future outcomes. Sometimes a child just needs a hug—and that’s okay! As professionals in this field, we understand the importance and the impact of these first five years. As educators, we aspire to help them build that strong foundation. We want them to learn all their shapes, colors, letters, numbers, etc., before they leave our classroom—but what are we doing to enhance their emotional development? Are we building strong relationships with children? Do the children feel safe, secure and protected in our environment? What tools are we teaching or modeling for children to express their emotions appropriately, construct independence, and boost their self confidence? Can we foster independence and be nurturing at the same time? Building meaningful relationships with children is the foundation piece needed to foster emotional growth in children. They need to feel safe, secure and protected in our presence and environment. As we truly listen and converse with children (not just talk at them) we are valuing them as people. It’s important that we help children acknowledge feelings and model empathy. We need to help children learn how to help themselves and others. Allowing children the opportunity to do things independently demonstrates we trust and respect them as individuals. Not only do we need to be physically present for children, we need to be emotionally available. We as educators need to embed ways to strengthen these skills throughout our curriculum and take advantage of these teachable moments. I encourage educators to put as much emphasis on helping children structure a strong emotional development as we do with all areas of development, and please do not be afraid to hug a child! This entry was posted in Best Practice, Preschool and tagged social emotional development on September 25, 2015 by Tracy Schnirring. Children have the right to be able to understand why they are feeling they way they are feeling. 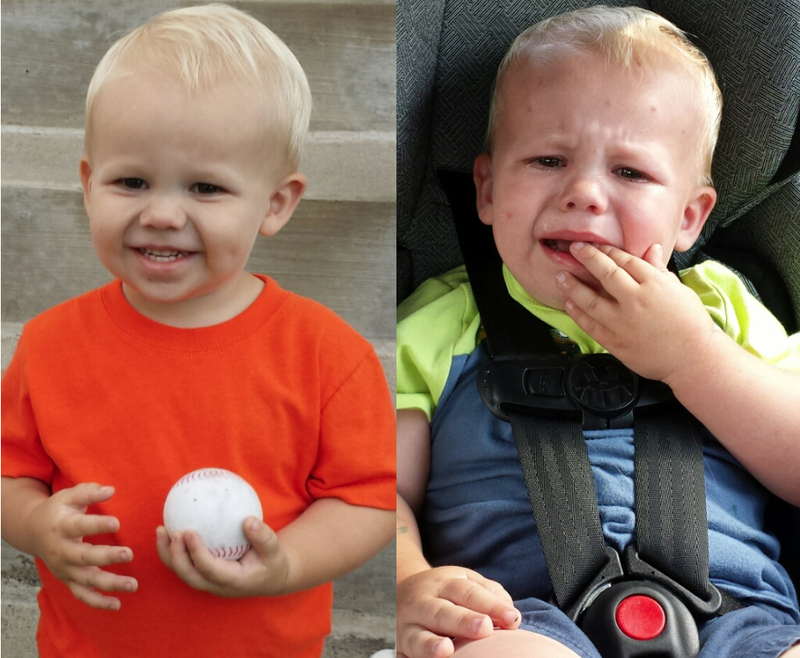 Last month I wrote about steps to end temper tantrums. In step number five, I mention that “When children know they are in a safe, loving environment, they will learn how to calm down. They will know you will be there for them. This is when the real magic will happen.” What do you think that real magic is? Is it enough for a child to know what emotion he or she is feeling? What do children do with the knowledge that they were angry or frustrated? How do we help them understand why that feeling occurred in the first place? The why behind the feeling is how we help children learn what they can do the next time a child might take their toy or react to a situation calmly and say, “I don’t want to join group time. I want to keep building with blocks.” Whether it’s a choice for that child to continue building or not, all children should feel safe and capable enough to express themselves through words. As children learn about their emotions and the “why” behind them, they are more likely to gain confidence in their ability to express their feelings. They can learn how to negotiate and work with their peers to solve problems. They can also learn to know that if they are frustrated they can ask for help. If they are angry they will have the skills to use words or stomp their feet rather than hit or kick another person. This doesn’t happen overnight. Children need A LOT of practice along with consistency, empathy and compassion from adults as they learn these new skills. This process starts from the earliest days of life. 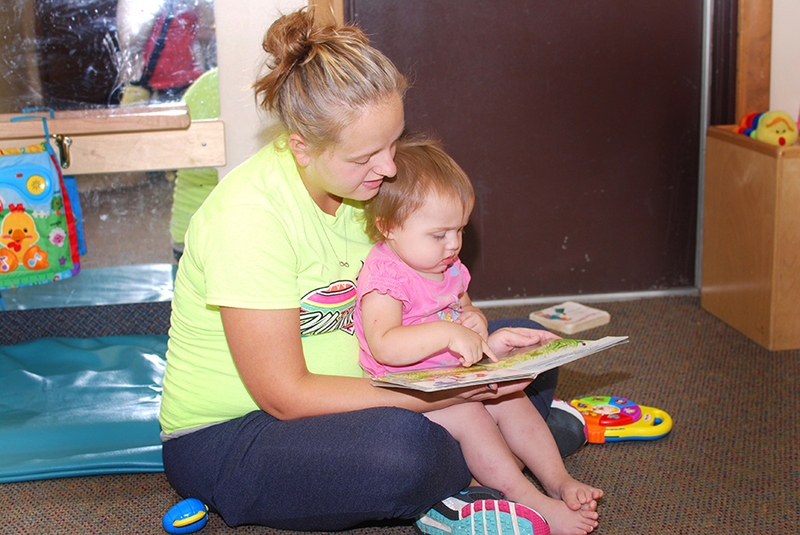 Teachers have to meet children where they are developmentally and support what they may need in that moment. Teachers can then scaffold their learning and help them to the next step in their social/emotional development. It is also important to remember that children need practice from situation to situation. 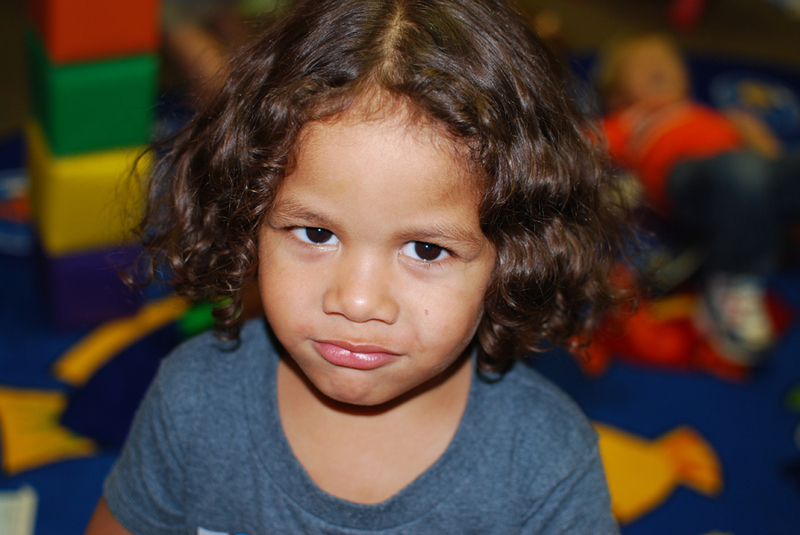 Just because a child has learned how to say, “Give my toy back,” in the dramatic play area doesn’t mean they will know what to do or say if a child knocks over their block structure. The true magic to supporting and helping children to calm down and learn about their feelings and emotions also includes helping them learn what to do with those feelings as they happen. Children have the right to be able to understand why they are feeling they way they are feeling. This support will help children learn how to become socially successful and emotionally secure. This entry was posted in Best Practice and tagged challenging behaviors, child development, social emotional development on September 17, 2015 by Jamie Webb.